In Diana Abu-Jaber's "impressive, entertaining" (Chicago Tribune) first novel, a small, poor-white community in upstate New York becomes home to the transplanted Jordanian family of Matussem Ramoud: his grown daughters, Jemorah and Melvina; his sister Fatima; and her husband, Zaeed. The widower Matuseem loves American jazz, kitschy lawn ornaments, and, of course, his daughters. Fatima is obsessed with seeing her nieces married—Jemorah is nearly thirty! Supernurse Melvina is firmly committed to her work, but Jemorah is ambivalent about her identity and role. Is she Arab? Is she American? Should she marry and, if so, whom? 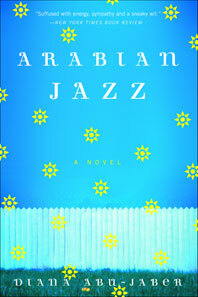 Winner of the Oregon Book Award and finalist for the National PEN/Hemingway Award, Arabian Jazz is "a joy to read.... You will be tempted to read passages out loud. And you should" (Boston Globe). 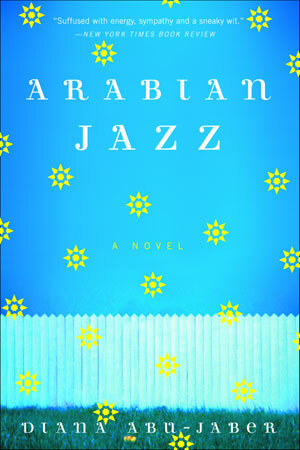 USA Today praises Abu-Jaber's "gift for dialogue...her Arab-American rings musically, and hilariously, true."